In addition to priding ourselves on the experience and commitment that we bring to every project, owning our own fabrication equipment means that we’re able to take on a job without delay. If you’re considering metal roofing for your home or building, we’d be happy to have an honest conversation with you to help determine your best options. Longevity: On average, metal roofs will outlast traditional shingles by several decades, as such, a metal roof will likely be the last roof you ever need to install. A Green Choice: In addition to being 100% recyclable, metal roofing has a much higher emissivity than traditional shingles resulting in lower bills for cooling & air conditioning. Durability: Metal roofs require much less upkeep than traditional tiles, making them more attractive as a long term investment. Aesthetics and Design: Last but certainly not least, Metal Roofing is attractive to homeowners and architects as a design element that offers flexibility and a unique aesthetic appeal. 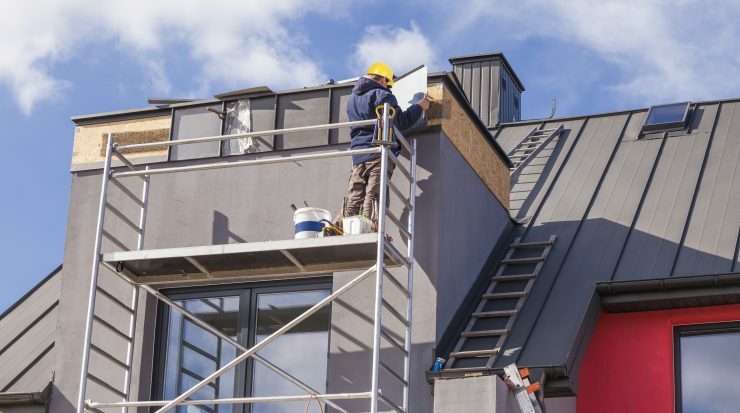 From the style of the roofing itself to the colors that range from bare metals to metallic, metal roofing gives the homeowner a host of options. In-house fabrication and customization capabilities: bonderized arch design bay window portico.